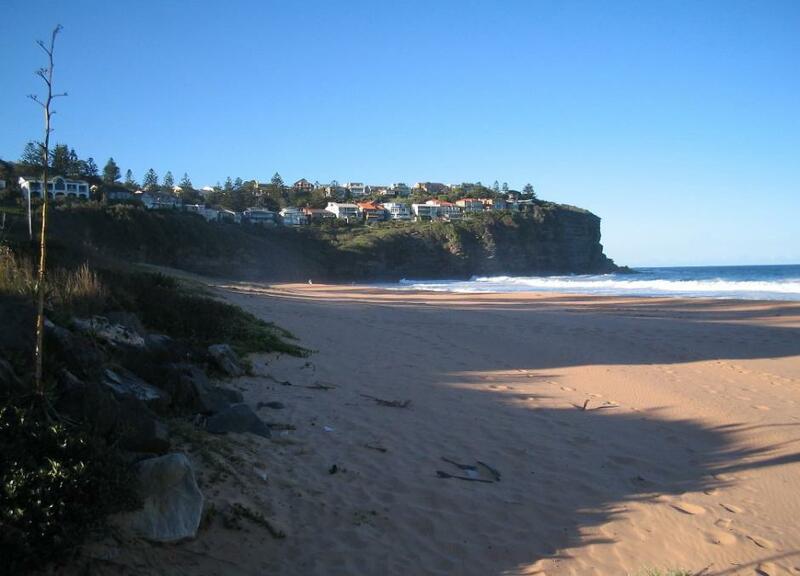 Bilgola Beach - view to north corner - A J Guesdon picture. A time capsule was buried in the grounds of Bilgola Plateau Public School in 1988, with a plaque asking children in 2015 to dig it up to mark the school’s 50th anniversary, which will be celebrated on Friday 16th October 2015 with a Twilight Celebration including an art trail, a school movie screening, dance and choir performances, food vans and rides for children. After four failed attempts and many hours of digging, the time capsule was discovered on Sunday 13th Sept. The process involved jackhammering through two foot of concrete underneath the plaque, put there by a former principal after vandals broke into the school and tried to dig it up soon after it was buried in 1988. The school eventually hired an excavator after all manual digging attempts failed. Having spent up to $1000 and more than 20 hours digging, the capsule was discovered not underneath the plaque, but 1.5m in front of it. Big thanks to Paul Baggott, Wayne Dickinson and Gary McMurray for all their assistance in this endeavour. Unfortunately, water had found its way into the capsule and some of the contents were badly damaged. Contents of the 1988 time capsule are listed below. The contents of the capsule will be available to view at the Twilight Celebration. There is always a twist. Principal, This week a previous staff member told Principal, Ms Cindy Gardiner that there is in fact another time capsule from the 1970s, buried near a paper bark tree on the school grounds! Ms Gardiner has confirmed she will not be attempting to find it unless someone can confidently identify it’s exact location. Following the excitement of the last few weeks, Ms Gardiner said pupils have been asking about putting together their own time capsule. If this goes ahead it will be placed in a glass cabinet within the school building, for easy access and to avoid any damage to the contents. Bilgola Plateau Public School’s would like to invite all past pupils, their families and the community to their 50th Anniversary Twilight Celebration from 4-8pm on Friday 16th October. The Bilgola Plateau Public School P&C committee. Bilgola Plateau Public School is fabulous and fifty! The amazing school on the hill will celebrate its 50th Anniversary with a Twilight Celebration on Friday 16 October. The 50th Anniversary Twilight Celebration will begin at 4:00pm and conclude at 8:00pm. During the celebration current and past Bilgola Plateau Public School community members are encouraged to explore the school via the 50th Anniversary Student Art Exhibition Trail, visit our newly created museum and view our Bilgola Plateau Public School Movie and BilgolaFest student movie offerings. Food vans will be onsite with delicious dinner options and lots of rides are on offer to entertain the children. The official 50th Anniversary Ceremony will occur at 5:30pm. During the ceremony we will cut the cake, reveal the contents of the time capsule buried in 1988 during Bicentenary celebrations and enjoy performances from our talented students. Our choir will sing a school song medley and our dance groups and bands will take you back in time by dancing and performing some sixties hits. All three bands will play along with a premiere performance of the Bilgola Plateau Public School Reunion Band. All past band members are encouraged to bring their instrument to the Twilight Celebration and join in a mass band performance. Please email the school at bilgolapla-p.school@det.nsw.edu.au if you are a past Bilgola Plateau Public School Band member and you are interested in joining the Reunion Band performance. If you are a past Bilgola Plateau Public School student please come and help us celebrate 50 years of being amazing. Please spread the word to your school mates!